Dr. Mitrasinovic (1968- ) is Professor at Indian Institute of Technology Roorkee, India, Professor at Belgrade Institute of Science and Technology, Serbia, Visiting Professor at Wakayama University, Japan, and Invited Professor at several universities in Japan (University of Tokyo, Kyoto University, Nagoya University, Tokyo Medical and Dental University, RIKEN Institute), Europe and Canada. He obtained his Ph.D. (2002) in chemistry from Florida State University, USA, where was employed as Lecturer. 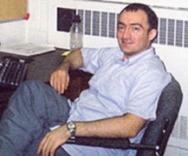 He was European Union Research Scientist at the University of Mons-Hainaut, Belgium (2002), Izaak Walton Killam Fellow at Dalhousie University, Halifax, Canada (2003-4), IBM Research Scientist at Henri Poincare University, Nancy, France (2005) and Associate Professor in the Center for Multidisciplinary Studies, University of Belgrade, Serbia (2006-8). He has published more than 50 original scientific articles (of which 15 as a single author in leading international journals), 15 review papers, 6 book chapters and 6 books in chemistry, biophysics, drug design, bioinformatics, biotechnology, materials science and nanotechnology. He has been plenary/invited speaker at numerous meetings, universities and institutes worldwide. He is Guest Editor of Current Organic Chemistry and of Current Bioinformatics, reviewer for prestigious international scientific journals and agencies, and is currently serving on editorial boards of 4 international journals. He has been elected Full Member of the European Society of Computational Methods in Science and Engineering since 2005 and the recipient of several international recognitions: the Izaak Walton Killam Memorial Award (2003-04) from Dalhousie University, Canada, in recognition of outstanding academic achievements, the Indian National Science Academy Professorship (2009-12), the Japan Society for the Promotion of Science Professorship (2011-12) and the International Scientist of the Year 2008 Award from the International Bio-center in Cambridge, England.